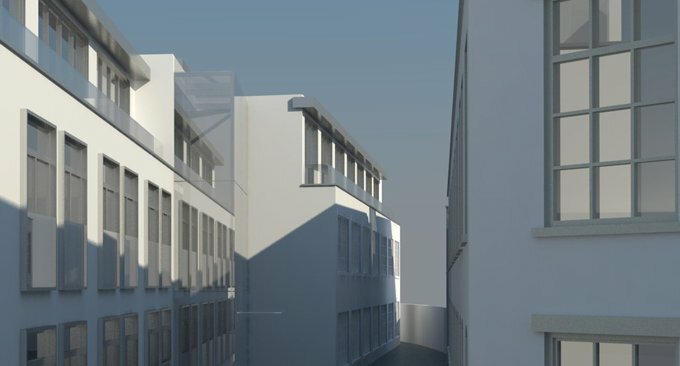 This high-value conversion project is situated in North London near Regent’s Park and comprises both commercial and residential space. London Belgravia Surveyors has been instructed by the client’s project managers, Jackson Coles, to carry out site inspections in order to provide an independent monitoring service along with Professional Consultants Certificates (PCC) for the residential element of the project. This former factory is being converted into luxury apartments including a ground floor and basement duplex apartment. The luxury development will include a lift and cycle storage for all tenants. The residential element is valued at £12 million over four flats and is due for completion in early 2017. Jackson Coles approached us when the project was part-completed seeking a solution that would allow the future purchases of the residential units to raise finance against the properties. We outlined the two most appropriate options for their situation, namely structural warranties and PCCs. In our position as independent specialists, we were able to guide Jackson Coles through the merits of each product and discuss with them the most suitable solution for their needs. Due to the fact that the project was part-completed, the premium required for a structural warranty increased significantly and therefore did not prove cost effective. The PCC product resulted in a saving of around 60%. Furthermore, due to our Professional Consultants Certificates being recognised by the Council of Mortgage Lenders, the mortgage lender acceptance rate is comparable to well-recognised structural warranty products. Many providers of PCCs and Architects Certificates do not provide services on part-completed projects, however London Belgravia Surveyors are able to cover such projects retrospectively on a case by case basis after assessment by our team. If you would like to discuss your project with one of our consultants and find the most cost effective and suitable solution for your situation, please feel free to contact us. Barn Conversions & Building warranties (Latent defect insurance) – How difficult can it be …. Football Clubs Moving to Residential Projects: Is the Trend Set to Continue?